This series of natural cotton linen binders coordinates with the elegant, cute & clean pages of our refills in either various anime characters or simple design. Each pocket size binder features three card-sized slots, two side pockets, strap closure and a pen loop. Select the color that goes best with your favorite pages and accessories and start customizing your planning experience! The soft touch of natural cotton linen warms your heart and soul in no time! Trimmed with pvc leather, it's a combination of warmth and style! 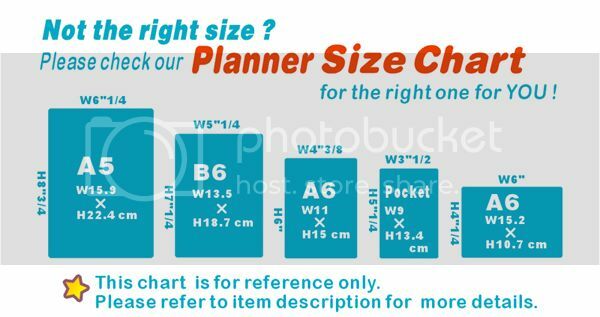 ● Binder dimensions : L15 x W10.5 x H3 cm / L5.9" × W4.1" x H1.1"
● Dimensions for refill pages :L12.6 × W8.9 x H1.2 cm / L4.9" × W3.5" x H0.4"